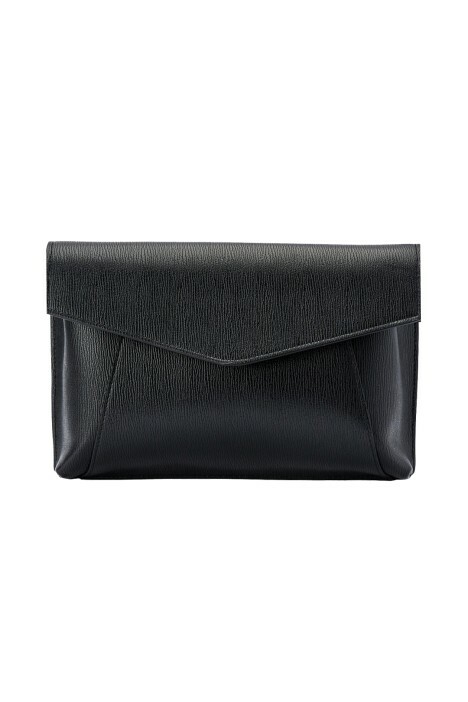 Easily transition your look from day to night with the Andrea Wide Foldover Clutch by Olga Berg. The ultra-versatile bag is crafted from saffiano vegan leather and features a removable shoulder chain. With the option to carry it over your shoulder or as a clutch, hire it for your next daytime event or cocktail party! Pair it with a floral mini dress and gold hoop earrings available for rent for a chic daytime look. For more outfit tips, check out our blog for ideas on how to take your look from day to night.